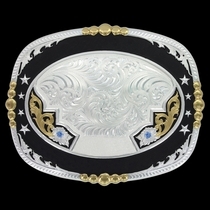 Trophy #2133 by Montana Silversmiths. 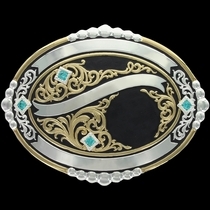 3¾" x 5". 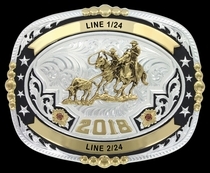 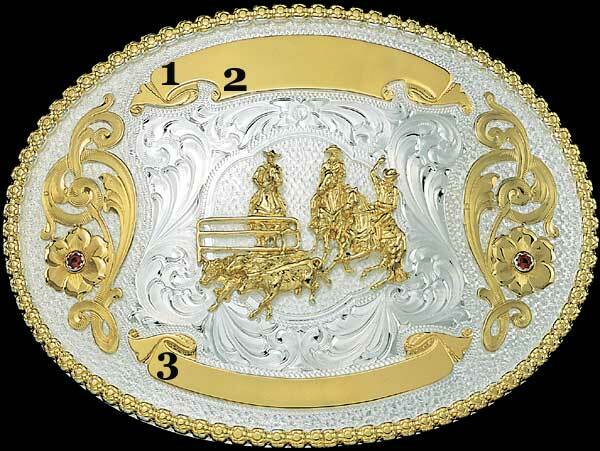 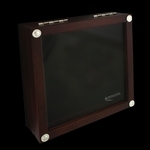 Trophy buckle is customizable by adding your on message engraved in the ribbon areas. 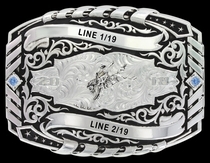 Includes your choice of figures from our figures catalog and your choice of stones. 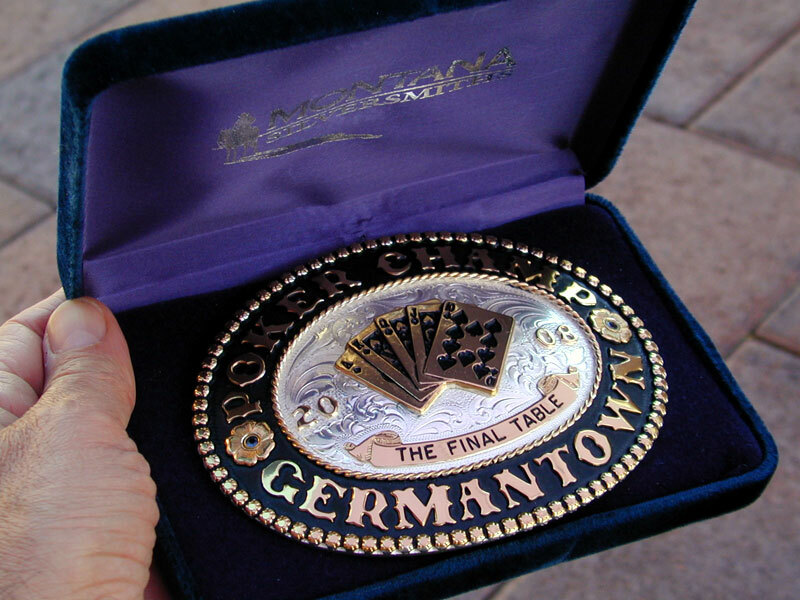 Three engraveable ribbons. 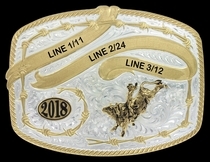 Shown with Team Penning figure #223.